Are you looking for a lifelong flying experience or would you like to give it as a gift? Feel free to contact us, we gladly offer our services to you. 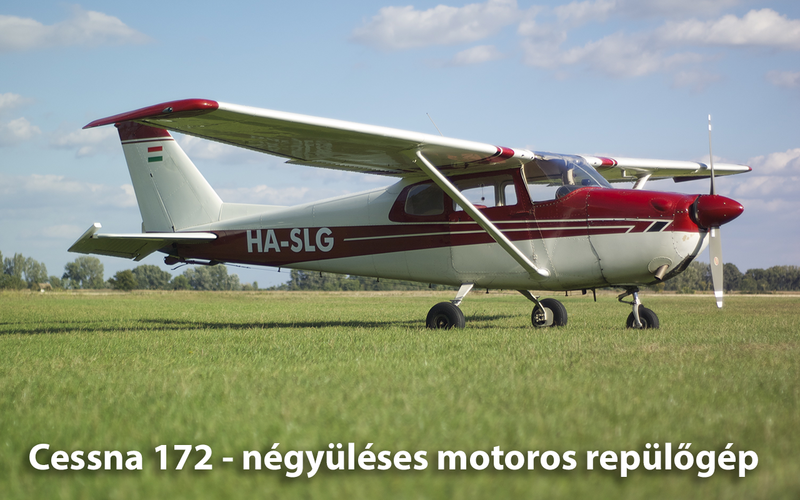 Ocseny Aeroclub which is operating at Ocseny airfield, near Szekszard, capital of Tolna county in the South Transdanubia – in appropriate weather conditions – is gladly waiting for the guests interested in joyflights from spring to autumn, every day of the week. Give a joyflight as a gift for your loved ones, friends, colleagues, customers for birthdays, weddings, christmas, anniversaries or other occasions. Joyflights are performed with the club owned, American made Cessna 172 light aircraft seen on the photo below. 10-15 minutes is usually enough for giving a taste of the beauties of flying. During this time the attractions of the area (Szekszard and its wine region or the lake of Szalka or forest Gemenc or river Danube) can be seen from the air. Of course we are gladly offering flight durations longer than this too. We take you anywhere in Hungary, even reaching to lake Balaton or other attractions of the country and via our air taxi services, you can reach other airports. We offer aerial photography services as well. We can also make a Full HD (1080p) video about the flight!